We've had numerous calls today asking if the polar vortex has caused Niagara Falls to completely freeze over. Rest assured that Niagara Falls is still flowing! We sent Adam McInnis, (a local photographer),out to the Journey Behind the Falls to get proof. 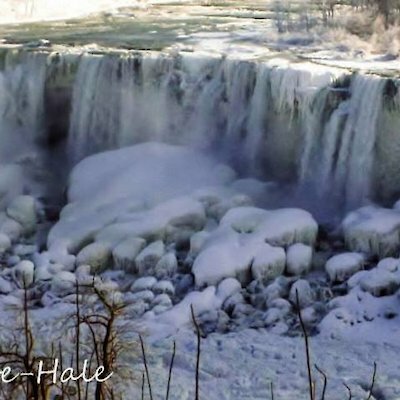 His photos are attached, as you can see water on the Canadian Horseshoe Falls still continues to move eventhough there are several large sections of frozen over sections. 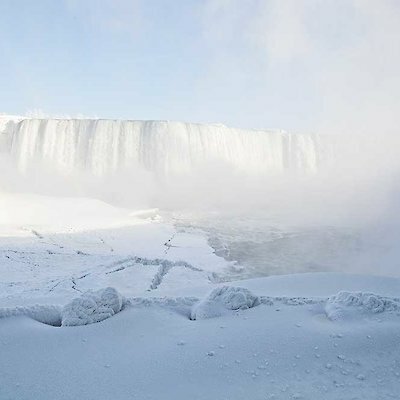 Typcially no mater how frozen over the Falls may get, there will still be water moving underneath. 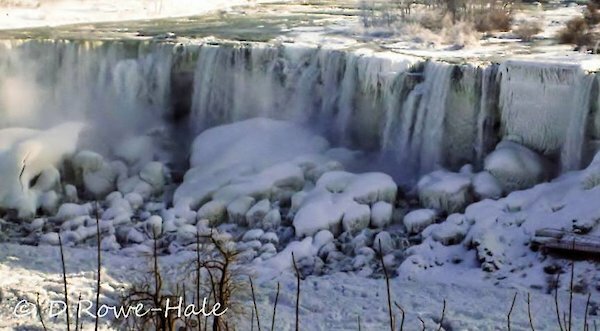 We've also included a spectacular photo of the American Falls that was taken by Donna Rowe-Hale. This photo also shows that water is still flowing there as well. That being said, the polar vortex we experienced this week did create a platform for some extremely exquisite photos.